I am about a month late, but better late than never right? 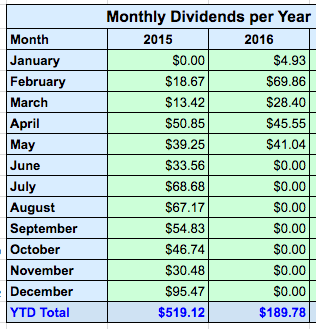 With five months down in 2015, I have collected $189.78 in dividend income! 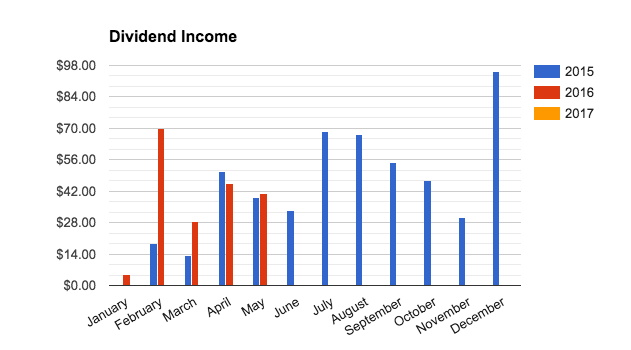 This month I received income from NINE different sources. Three more from April. 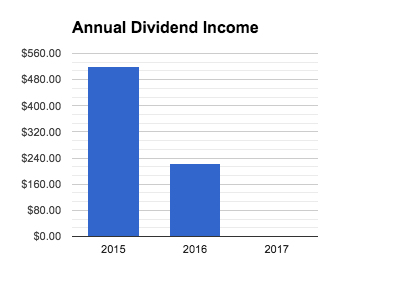 Compared to 2015 my dividends in May went up by 4.56% despite all of the changes I am making to my portfolio. 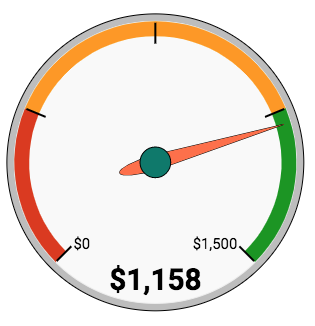 I do expect some up and down months year over year, so I was glad to see that it was still an improvement over last year. I am always late as well with most of my posts. Joys of family and never being bored. 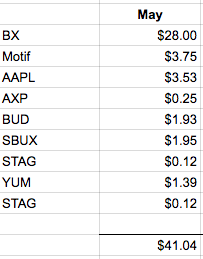 Anyways just stopping in to say hi and cheers on another month of divs! You're doing awesome bro. Keep hustling hard and stay consistent. With time, you're gonna kill it. Hope to one day get to your level!